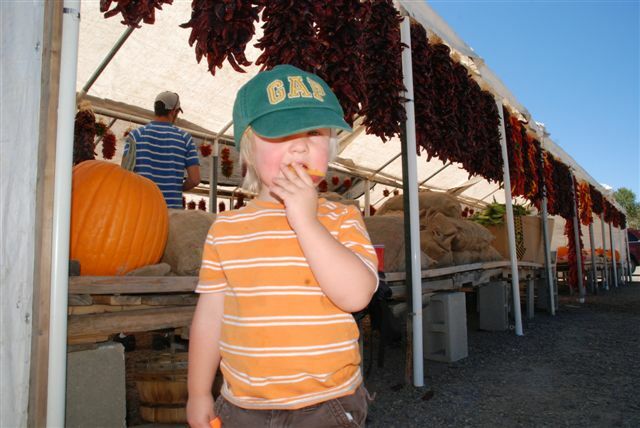 Blondie’s Produce is back in Pagosa Springs this year and roasting bushels of green chiles at the east side of town. Evan and I stopped by Saturday to film the short video below showing Jimmy from Austin, TX as he roasted a sack of super hot green chiles in the parking lot just west of the Everyday gas station and across the street from JJ’s Riverwalk Restaurant and the Ski & Bow Rack. 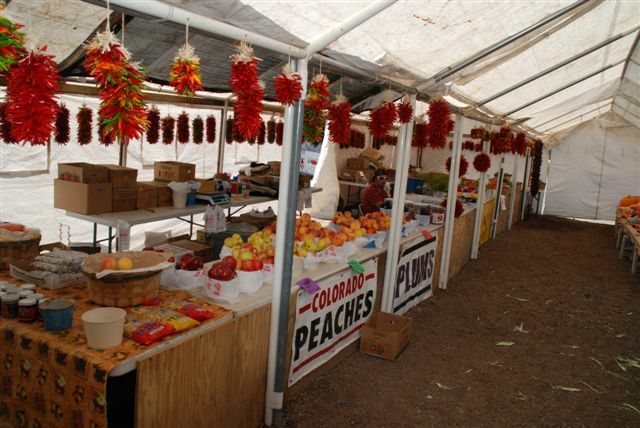 Blondies offer a wide selection of fresh produce from Grand Junction, CO such as peaches, tomatoes, tomatias, plums, green beans, melons and much more. 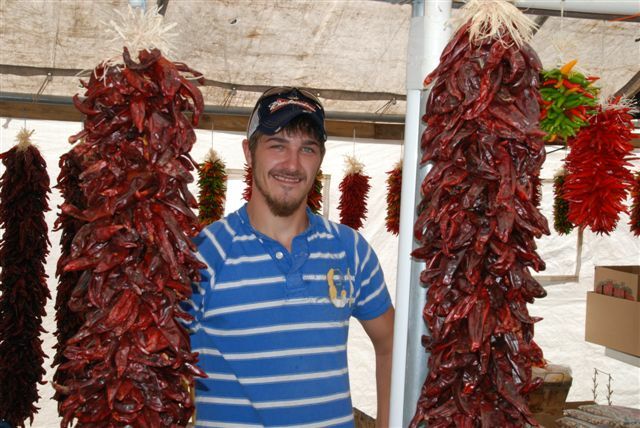 But with the 2010 Pagosa Springs Mountain Chile Cha Cha coming up this weekend, I wanted to show our “All Things Pagosa” readers the green chile roasting process (video below). Jimmy’s group has been coming to the same location in Pagosa Springs for the past 22 years. We had to keep Evan far away from the roaster to keep the embers from falling on him. Thank you for visiting “All Things Pagosa” — your best source for Pagosa Springs photos and video. Please call me directly (970-398-0022) or e-mail me for the best Pagosa Springs real estate available.